Margaret Atwood has a track record of creating vast, deep and fully realized worlds, particularly in her eerily dystopian novels. She falls a little short in The Heart Goes Last, though. The story is based on a compelling premise: a secure walled community thriving in a post-apocalyptic world, where every inhabitant is guaranteed a comfortable existence and full employment. For six months of the year. For the other six months, they swap places with their counterparts in the community's prison and become the inmates. Stu and Charmaine have been living in their car since losing their house in the global economic collapse, trying increasingly desperately to scratch out a living. They are understandably thrilled to be invited to join the community, until they start to realize the insidious secrets that lie behind its success. The Heart Goes Last doesn't quite work for me, because it seems to go for flippancy over depth, and because, frankly, I didn't really like Stu and Charmaine very much. I don't always have to be best buddies with a character in order to enjoy their importance in a book, but in Stu and Charmaine's case, they are also not terribly bright. 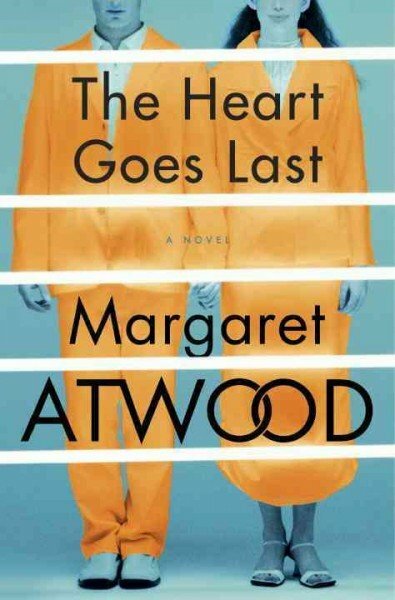 And while I appreciate how challenging it must have been for Atwood to write using voices of dim and rather shallow characters, it made me long to spend time with some of Atwood's more thoughtful literary characters. 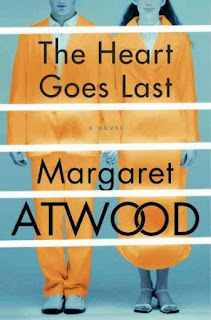 The Heart Goes Last is an entertaining read, but not necessarily one that would give someone new to the Atwood-osphere a good sense of master storyteller's true brilliance. The premise sounds interesting at least. Are they at least believably dumb? Maybe it's like a billionaire describing a day in the life of a middle class schlub, Atwood just can't relate enough to get it right. You could be onto something there, John. Thanks for your take, Barbara ~ very helpful. This reminds me, I still haven't seen all of the movie version of A Handmaid's Tale. The book still gives me the chills. Now that you mention it, Erik, I haven't seen the movie version either. But the book was certainly disturbing.